You are here: Home / John Ferrigamo – Completing Your Sophisticated Look! 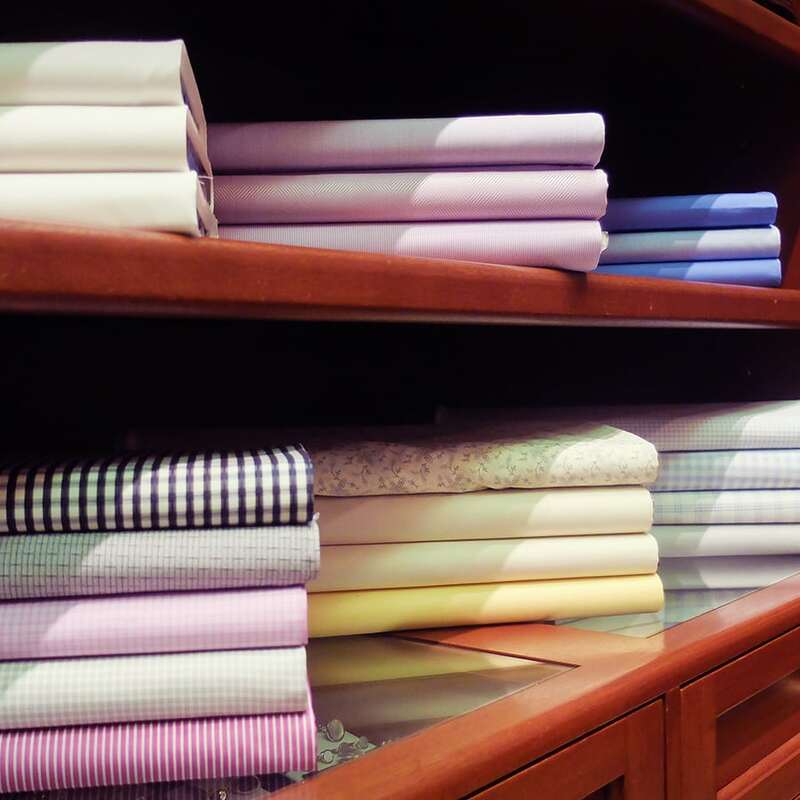 An array of quality fitted suits and dapper dress shirts are displayed in the elegantly decorated space of John Ferrigamo Custom Designs; an upscale menswear shop on the south side of Cumberland Street tucked in between Bellair and Bay. 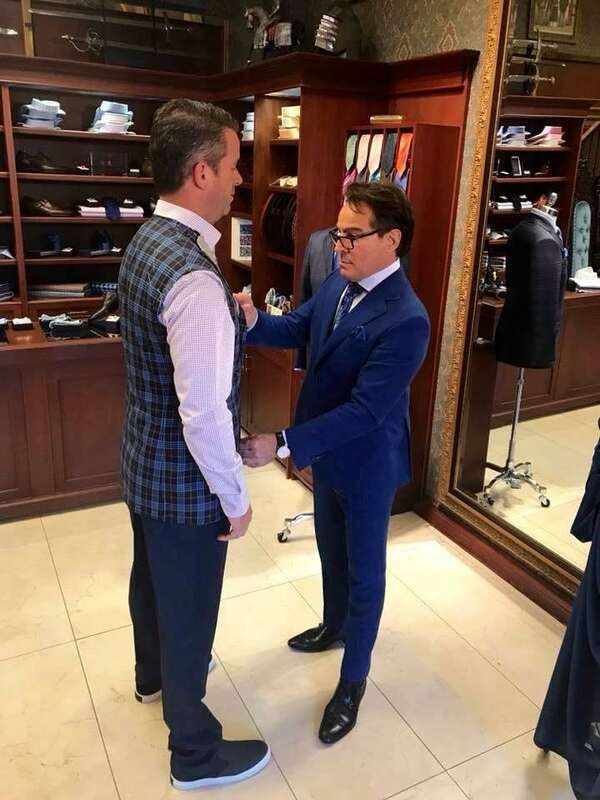 “Pull it a little tighter,” John Ferrigamo tells his tailor as he tries on a vest; a 35-year veteran of the tailoring business, Ferrigamo offers extensive experience and tasteful selections to provide full tailoring services for a complete and sophisticated look. Ferrigamo has been in his Bloor-Yorkville location for 13 years. He always had a knack for tailoring. At the age of 20 he offered to apprentice for free at various stores across Toronto. That’s when he learned the craft from seasoned tailors. By age 25, he was already tutoring managers for a Canadian custom clothing company in Manhattan. John prides himself on offering his clients a focused, personalized and rewarding shopping experience. Whether it’s casual, classic or modern, John Ferrigamo combines quality material with skillful craftsmanship and comfort. “We suit the fashion with the man”, Ferrigamo said. “It’s my knowledge and passion for tailoring, and maturity in dealing with people that fated me so successful in this position,” he explained. 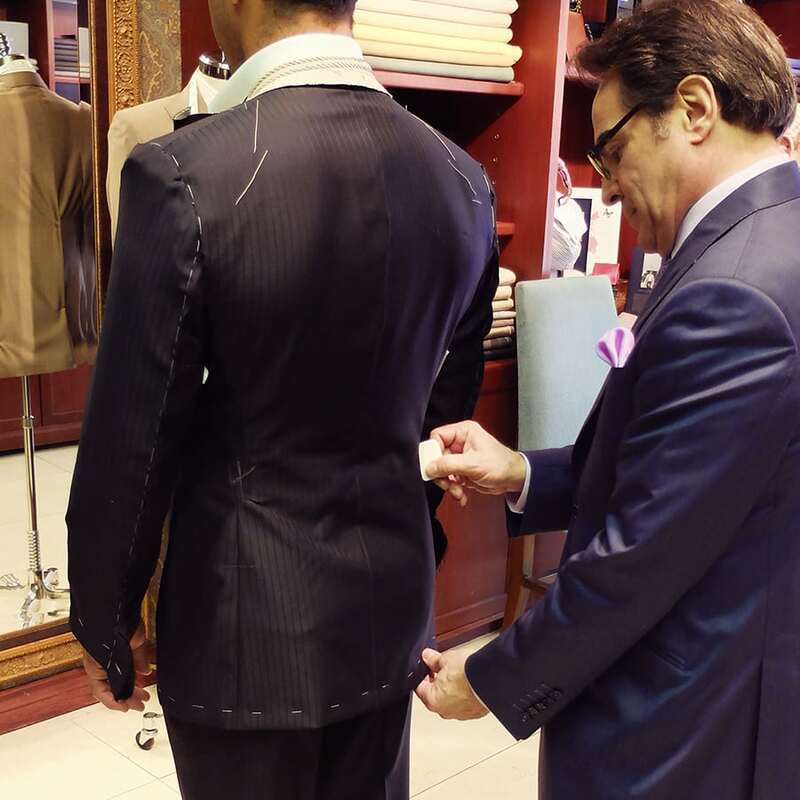 Designing a tailormade suit requires great attention to detail and listening to clients. Whatever the occasion, John and his experienced staff will recommend suitable fabrics. 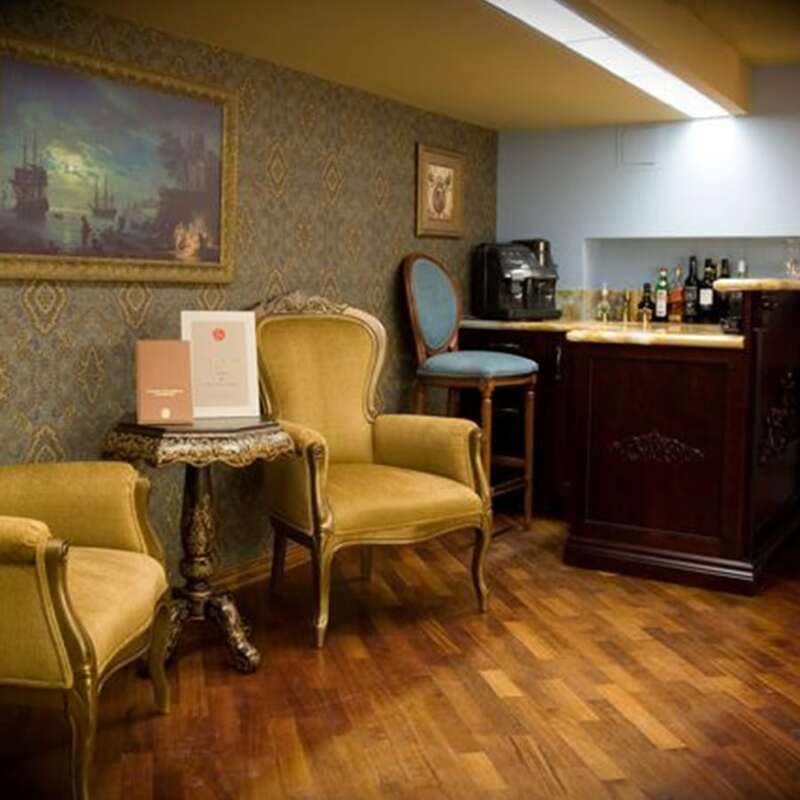 The store offers countless combinations with the right accessories, creative mindset and a trained eye for the right cuts to suit the individual client. Ferrigamo understands that fashion evolves, to keep up with the everchanging fashion trends he relies on his team of talented tailors. John has designed clothing for businessmen, celebrities, athletes and the average man, who values a well-made suit. Ferrigamo said reoccurring clients often purchase two or three garments a season. 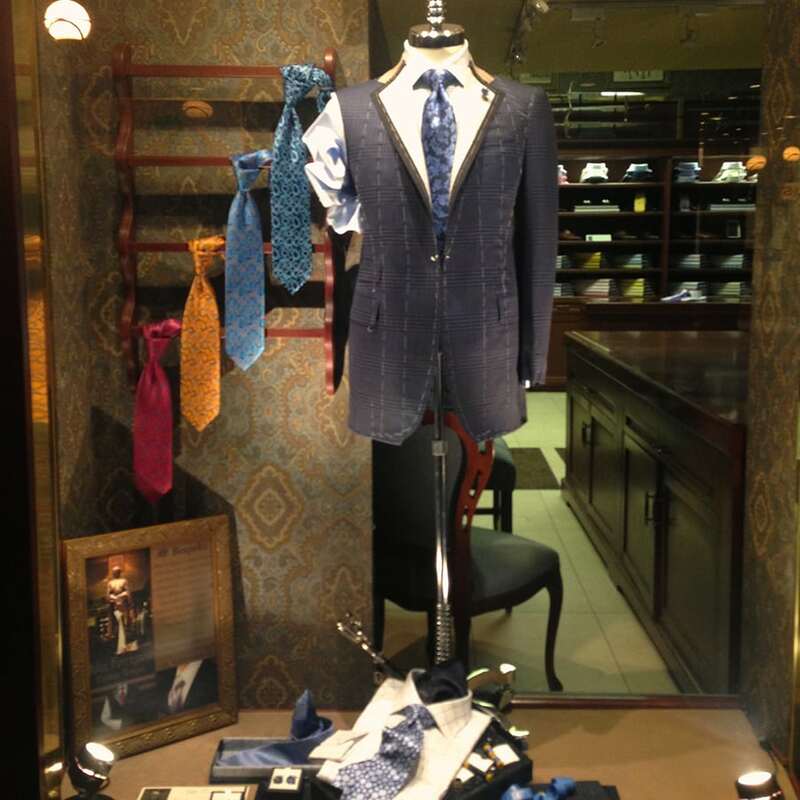 Suits are not the only custom-made items sold at John Ferrigamo, his shop provides clients with custom made dress shirts, as well as ties, pocket squares, cufflinks and belts for the spruced-up man. “The best custom shop balances heritage, service, integrity, quality, luxury and the experience to fit a man better than anything he’s ever worn”, he said. To learn more pay a visit to the shop or johnferrigamo.com.